Getting married in Essex soon or newly engaged? Looking for a beautiful looking and super scrummy wedding cake? 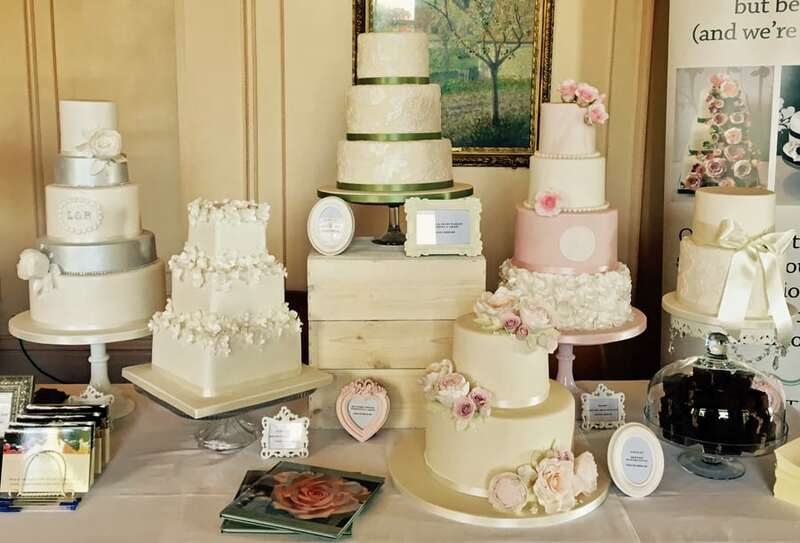 Why not pop along to one of the wedding fairs below and come and have a chat with us about all things cake… and of course try some delicious wedding cake samples! Sunday 14th January 2018 – The Lawn Winter Wedding Fair at The Lawn, Rochford, Essex. As usual we’ll be exhibiting at The Lawn’s Winter Wedding Fair, this really is a must if you’re getting married in the South East Essex area. We’ll be showcasing some of our favourite wedding cake designs along with a couple of new ones too! The fair runs from 10am till 4pm. Free entry. Sunday 28th January 2018 – The Rayleigh Club Wedding Fair in conjunction with Main Event Weddings, Rayleigh, Essex. We’re back at The Rayleigh Club, Rayleigh to exhibit with Main Event Weddings who host a number of fab wedding fairs in Essex. Why not pop along? We’ll be there from 11am till 3pm and as usual, there will be very lovely cake to sample! Free entry. Sunday 18th February 2018 – Hylands House Wedding Fair, Chelmsford, Essex. The stunning Hylands House is our next wedding fair; so excited to be exhibiting here alongside Main Event Weddings again. We’re travelling slightly North and West in Essex to Chelmsford for this one and looking forward to meeting lots of newly engaged couples planning their perfect day – it is after all, the first Sunday after Valentine’s Day – very romantic! We’ll be there between 11am and 3pm. Free entry. As usual, there will be a chance for you to get 10% off your wedding cake booking by filling in one of our contact postcards, so do keep an eye out for them – every little bit of money off helps the budget!